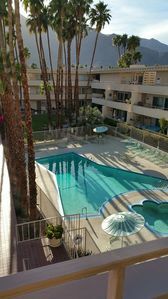 Palm Springs, CA: 2 BDRM Condo w/FREE WIFI & Pool, Near Waterpark, Golf & More! 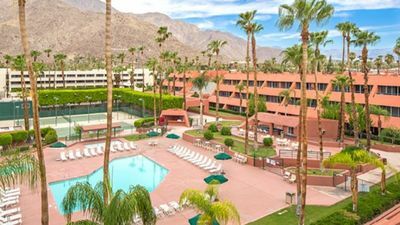 The Vista Mirage Resort is a desert oasis, nestled at the base of the San Jacinto mountains. 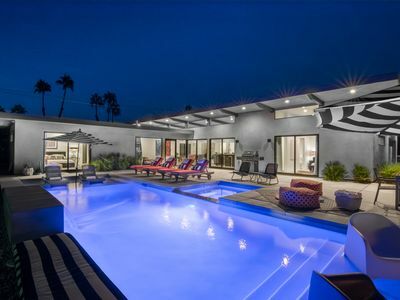 Located in Palm Springs, California, this two-bedroom getaway is surrounded by well manicured landscaping, swimming pools, and plenty of space to relax. 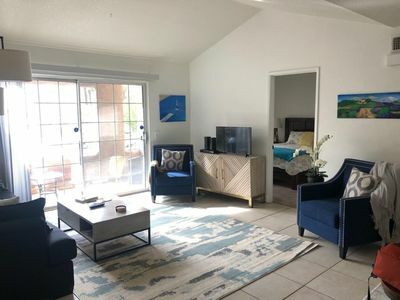 The Vista Mirage Resort separates itself from other accommodations by providing guests with amenities such as full kitchens, a private balcony or patio, and more. Defining itself as more than a place for guests to rest their head at night. 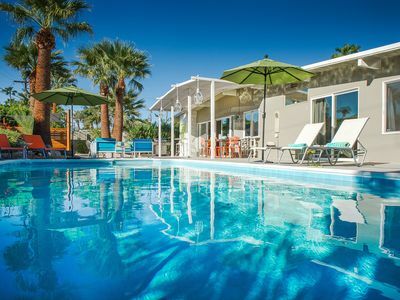 The Vista Mirage Resort lets guests kick back and enjoy the beautiful weather of southern California. The resort offers an exceptional array of amenities, to help fill the gaps in any part of the vacation or romantic getaway. 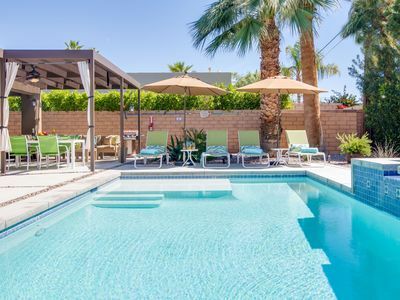 Some of the notable amenities of this resort are the two outdoor swimming pools, whirlpool spa, and game room. The laundry facilities are also a nice touch, as guests can pack smarter and avoid unnecessary airline baggage fees. 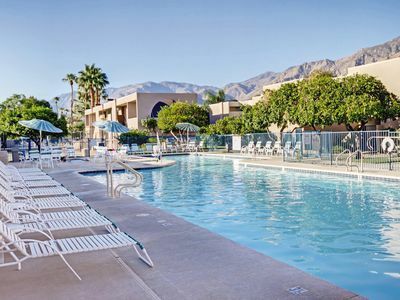 Below is the full list of amenities the resort provides. 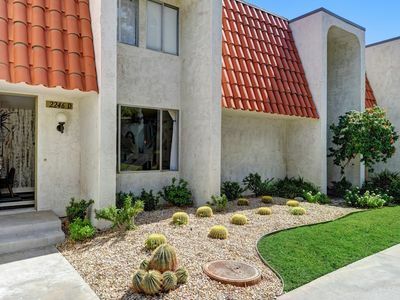 Located in a fabulous location, The Vista Mirage Resort is just minutes from top rated golf courses, hiking trails and shopping centers. Those looking to cool down and escape the desert heat should check out Knott’s Soak City Waterpark. 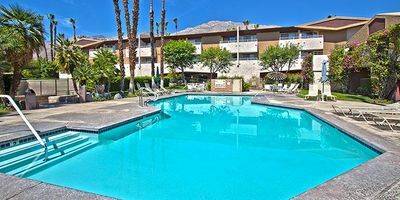 The Palm Springs airport is not too far from the resort as well. The full list of nearby attractions and their distance from the resort can be found below. 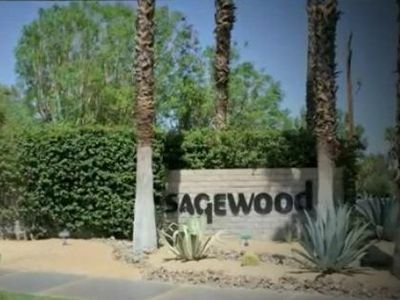 This spacious two-bedroom condo is 1,000 square feet. 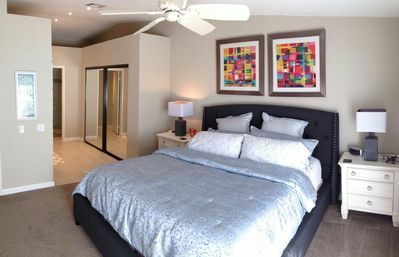 The suite provides luxurious amenities, and adds privacy with the private bedrooms. The separate living area includes a queen sleeper sofa, a full kitchen, and a dining area. 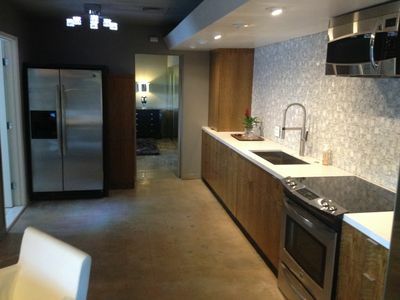 The kitchen adds affordability and convenience, allowing for delicious meals to be made from the comfort of the suite. 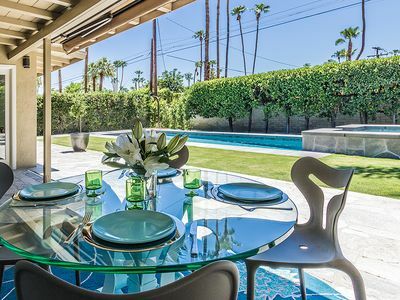 The suite also features a furnished patio, which includes chairs and a side table. The maximum occupancy of this room is six guests. 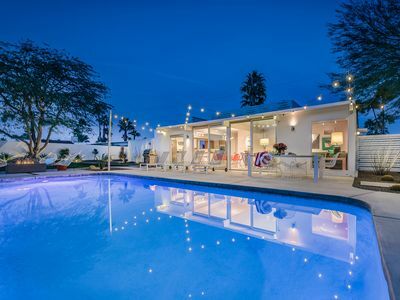 Stay In Your Own Private Romantic pool side Guest House, Not A Condo! 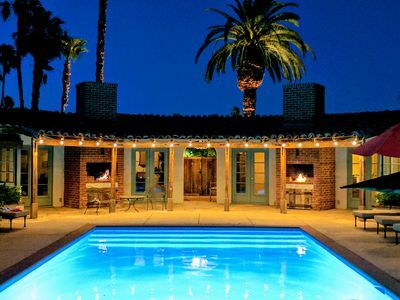 Amazing Desert Getaway!!! Luxurious!! Breath Taking Views!! 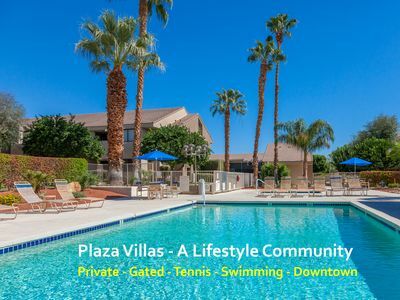 Double Down Hideaway at Plaza Villas - Right Downtown! 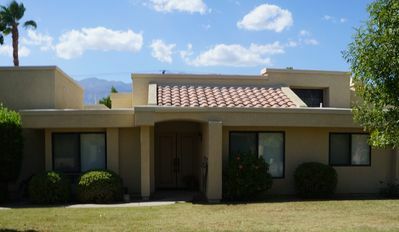 Modern Mesquite Upper 2BR end unit: Great Mountain Views and close to downtown!! 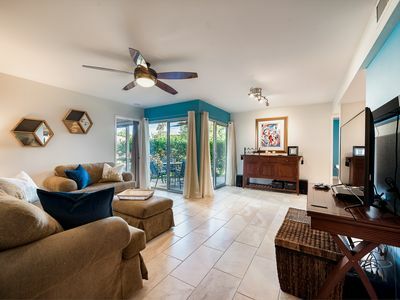 Relax In Style At Marquis Villas!